Are you familiar with the quotation "Beauty will save the world"? If you agree with Fyodor Dostoyevsky, then hurry up to order this dog collar with stars, and let's go to save our world! 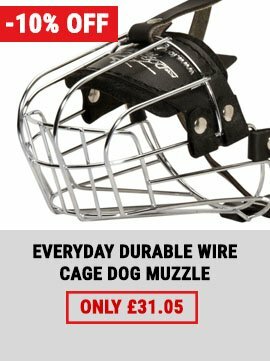 This model of narrow Pitbull collars is really worth buying. 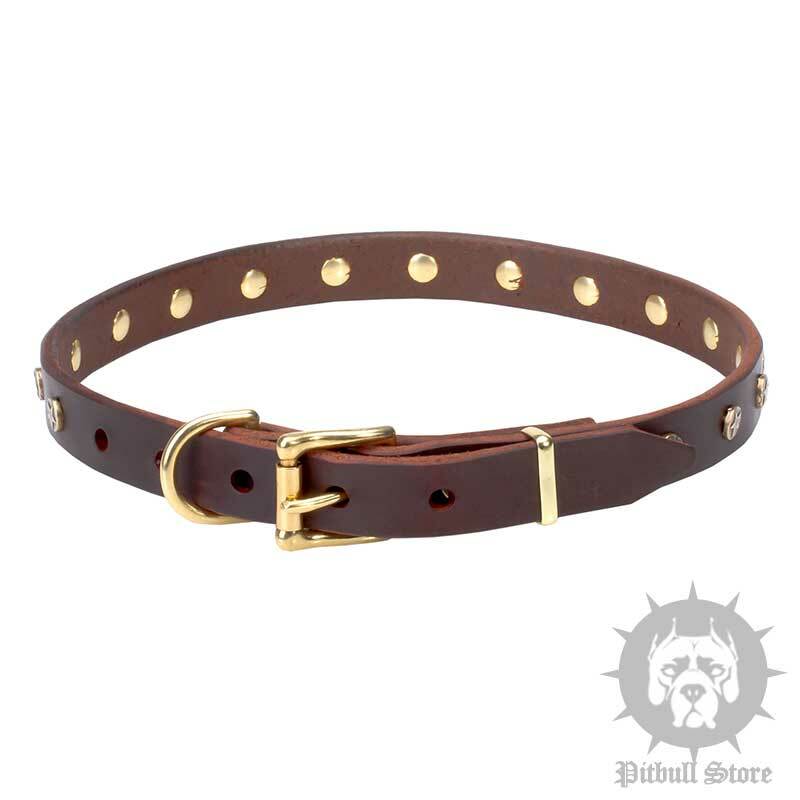 Tiny brass studs with star toreutics make this elegant dog collar a unique & stylish canine accessory. You won't find anything resembling this piece of art in offline shops. This item is designed and produced by our experienced and creative craftsmen to be shipped to you. 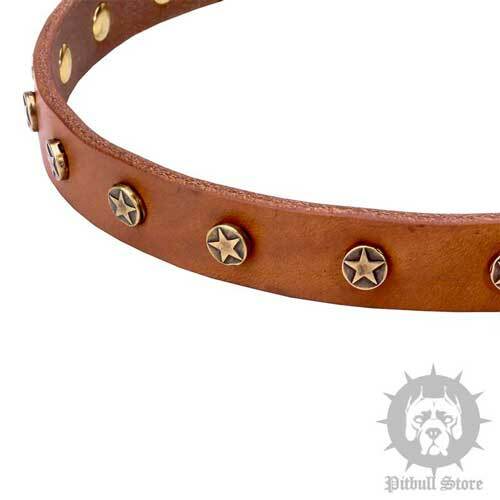 Just look at this dog collar with stars closer. Thick full grain leather, securely set with rivets adornments, brass non-rusty hardware! 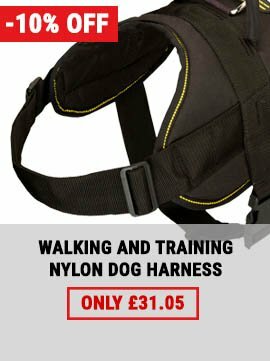 This collar will look great on your Pitbull's neck while walking and basic dog training. 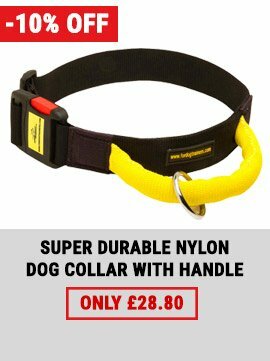 Our elegant dog collar will serve your pet for years! We have such an elegant dog collar for cold shine lovers.